The Berlin Welcome and City Tour discount passes give tourists big savings and cheap deals on transportation fares, sightseeing, culture, entertainment, and restaurants. For a city with over 30 different kinds of public transportation tickets, having a single discount card for tourists was always going to be too simple. Berlin thus has two major tourist discount passes: the Berlin Welcome Card and the Berlin City Tour Card. The Berlin Welcome Card and Berlin City Tour Card are very similar and similarly priced but the slightly more expensive Berlin Welcome Card generally gives the best value. In contrast to previous policy, families may now save with both the AB and ABC zone cards. Up to three children age 6 to 14 may travel for free with an adult using a Berlin Welcome Card. Discount are also applied for these children at many sights. Children under six (as well as one dog per card holder) travel for free with any adult tickets. The main differences between the Berlin City Tour Card and the Berlin Welcome Card are that the Welcome Card gives discounts at over 300 partners and the City Tour Card at just over 50. The Welcome Card comes with a 150-page guidebook while the City Tour Card comes with a fold out brochure and map. The Berlin Welcome Card is marginally more expensive than the Berlin City Tour Card but is valid at many more attractions and often gives bigger discounts. Most visitors will probably find the best deal by using the Berlin Welcome Card. The Berlin Welcome Card is generally available from the same venues as well as from the Berlin Tourist Information Offices and DB German Railways ticket windows. The five-day Berlin Welcome Card cannot be bought on buses or from vending machines. Berlin-Schönefeld Airport (SXF) from Tourist Information Berlin-Brandenburg. The Berlin Welcome Card Museum Insel is valid for 72 h and adds admission to the five museums on Museum Island. It cost €46 for AB and €48 for ABC. The City Tour Card does not have a Museums Island option. Discounted versions of these passes are not available for children or youths but note that up to three children may travel for free with an adult bearing an adult and many sights are free for children anyway. The largest portions of the Berlin Welcome Cards and Berlin City Tour Cards are for public transportation. However, further savings can be significant too. Discounts of at least 25% are given on admission ticket prices at many museums including the DDR, German History, German Technology, Wall, and Berlin Jewish Museum. Discount pass holders can generally also save at least 25% on city sightseeing bus tours of Berlin and cruises on the Spree River and other Berlin waterways. Similar discounts are granted to most walking and cycling tours including the very popular English Berlin Walks and Berlin on Bike tours. The biggest single discounts are for theatre shows but it may be difficult to actually cash in on these discounts as the tickets can usually only be bought on the same day or a few days in advance. The Berlin Welcome Card and City Tour Card are generally good value for money. 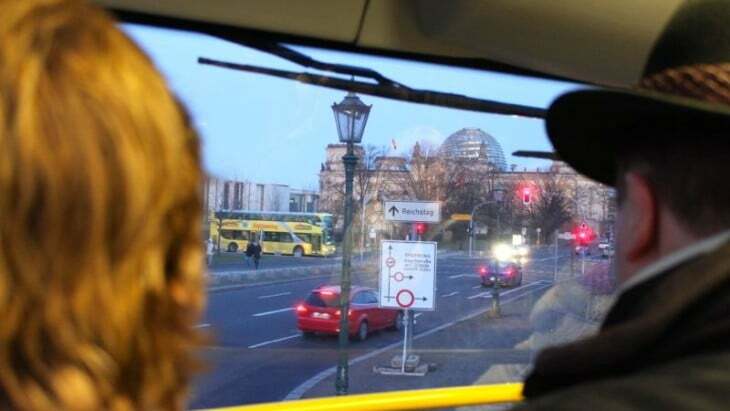 The difference between two standard Berlin public transportation day tickets and the 48h tourist discount cards can easily be made up by the savings offered on a single admission to Madame Tussauds Berlin, or a visit to two or three other museums. See also Tips on Public Transportation Tickets in Berlin for more ideas on how to use the buses and trains in Berlin as well as suggested bus routes that passes by Berlin’s top sights.